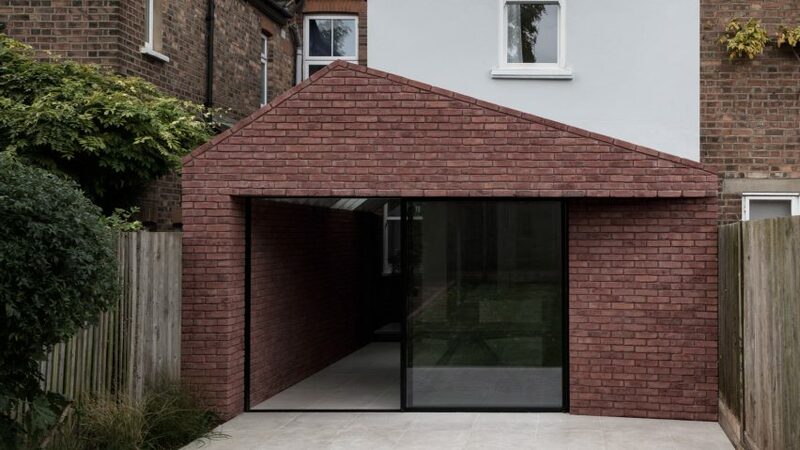 Trewhela Williams' Sinter House extension "celebrates the sculptural potential of brickwork"
This extension to an Edwardian house in north London by Trewhela Williams features carefully detailed brick surfaces that extend from the exterior into a minimal kitchen and dining room. The south London-based studio has modernised and expanded the ground floor of the terraced house in East Finchley to create a more liveable family home. 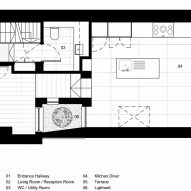 The clients wanted the focus of the house to be an open-plan kitchen and dining space, which necessitated the creation of a rear extension that also improves the connection between the interior spaces and the garden. 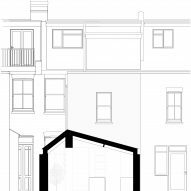 The extension features an asymmetric pitched roof and a simple form that is given a sense of uniformity by the consistent use of a clay brick from the Lower Rhine region, in Germany. "The clients highly valued the material robustness and sense of timeless offered by brick buildings," Trewhela Williams pointed out. "This informed the emphasis on celebrating brickwork and its craft through a sculptural approach to the overall built form." 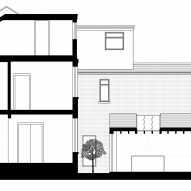 The homogenous brick surfaces lend the new addition a monumental quality that is accentuated by details such as the subtly folded facade, concealed structure and lack of extraneous details. 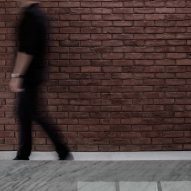 The extension's end facade features a seamless brick surface with matching maroon mortar. Sloped brick coping, a brick-slip soffit system and various custom-made brick specials ensure that no other materials are visible. 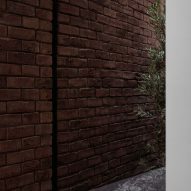 The bricks used for the project were carefully selected to complement the red Fletton brick of the original house. Their variegated tones result from the traditional sintering process used in their production, which also informed the project's name – Sinter House. Internally, the brickwork extends along one side of the new room and helps to create a seamless transition between the exterior and interior. 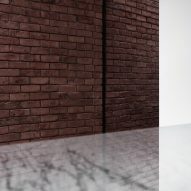 The treatment of materials and the way different surfaces meet is precisely considered and is embodied in the minimal frames surrounding the openings in the brick surfaces. "Subtle details such as shadow gap junctions between finishes help reinforce the overall appearance of elemental simplicity, allowing the qualities of the finishes to come to the fore," the architects added. A muted material palette including polished marble, concrete-effect floor tiles and white painted walls forms a neutral backdrop for the richly textured and warm toned brick. The space is flooded with daylight that enters through the glass sliding doors, as well as a roof light set above a section of the brick wall. A row of exposed rafters that extends past the roof light creates a vertical rhythm within the room that is accentuated by the play of light and shadow across their surfaces. Additional daylight is introduced by a small, planted lightwell inserted between the old and new parts of the building. An original sash window looking onto this compact feature ensures light also reaches a reception room at the front of the house. 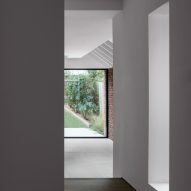 Also in London Matheson Whiteley added a pared-back brick extension to Sebastian Wrong's Victorian house, while Simon Astridge added a white-brick extension to a home in north London.